C-Products Defense released their innovative DURAMAG stainless steel AR-15 magazine at SHOT Show. C-Products Defense (CPD), a leader in rifle and pistol magazine manufacturing, released the new DURAMAG™ AR-15 magazine at SHOT Show 2019. The new DURAMAG magazine is an all steel AR-15 magazine with several upgrades specifically implemented to compete with the proliferation of polymer magazines. Quite frankly, I’m surprised it has taken so long for a magazine manufacturer to delve deeper into improving metal magazine construction, and this lack of innovation has led many to switch to polymer magazines. Despite the popularity of polymer magazines, like the extremely successful Magpul magazines, this news should pique interest from die-hard metal magazine users. 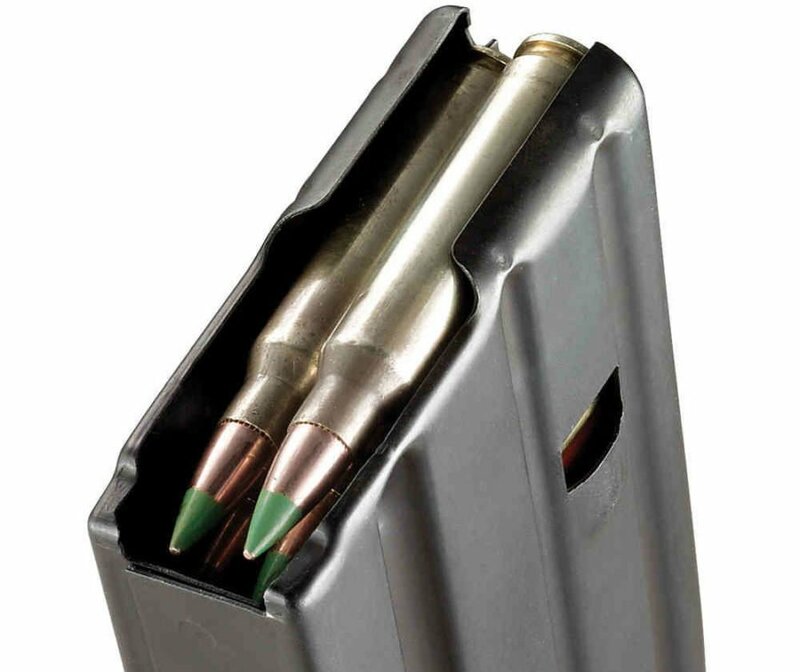 The original AR-15 (and military M-16) magazines were pressed aluminum magazines, designed to withstand rigorous military standards and conditions. The originals were made from aluminum since aluminum oxide is immediately formed upon contact with air creating a solid anti-corrosion surface prolonging magazine life. That original AR-15 magazine design was proven to be durable, but issues with the original cartridge followers without anti-tilt designs caused numerous misfeeds. Despite a niche of steel magazines for decades, their heavier weight and potential to rust has always been a strong reservation. The new CPD DURAMAG may completely invigorate the metal magazine narrative. The C-Products Defense DURAMAG all-steel AR-15 magazine has several new features. The new DURAMAG is manufactured in an ISO 9001-2015 facility with design specifications meeting stringent military requirements. DURAMAG magazines have already been subjected to rigorous testing, and according to CPD, has proven to be superior to previous designs. CPD has hedged their marketing strategy on the belief metal magazine bodies are inherently better than polymer. The debate between metal and polymer magazines still rages on firearm forums. Metal is inherently stronger than polymer in most situations, but polymer is more lightweight, flexible, and impervious rust. Polymer magazines do have a greater potential for breakage, and in extreme conditions can be sensitive to temperature and humidity, but metal magazines can get dented or deformed and fail to perform. CPD is hoping their DURAMAG sways the argument back towards metal magazines. The DURAMAG is made from 410 stainless steel with proprietary T-360™ protective coatings. MSRP: TBA (SGAmmo has them for $8.95). The DURAMAG magazines are made with quality 410 stainless steel, providing both superior strength and corrosion resistance. One of the most important features is the T-360™ proprietary coating covering all exterior and interior surfaces. This coating secures any concerns about corrosion resistance, from prolonged exposure. DURAMAG comes with Advanced Geometry Followers™ and Post and Hole™ construction improvements. DURAMAG uses advanced geometry design, and manufacturing techniques. This includes CBD’s Advanced Geometry Follower™ (AGF), and enhancement on the anti-tilt follower designs. The new AGF provides proper and level alignment for every round fired, not just the first or last few rounds in the magazine. This advanced feature is combined with CPD’s EverFlex™ spring technology, giving each DURAMAG spring anti-fatigue and long-lasting reliability. 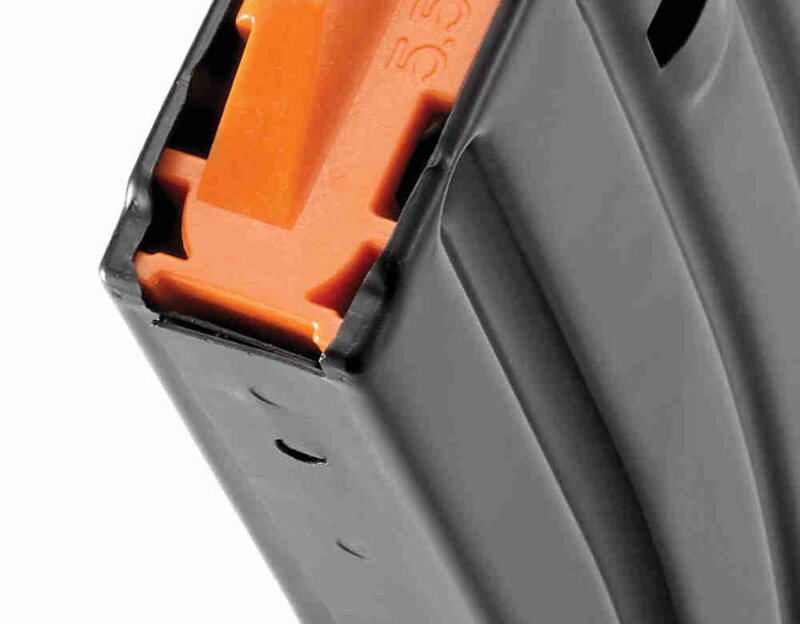 In addition to the features listed already, CPD has developed a proprietary LipLock™ design to ensure round retention regardless of round count, or the amount of time the rounds have been stored inside the magazine. The LipLock design forms the curved lips at the top of the magazine to optimize cartridge feeding efficiency. We have had the opportunity to use other C-Products magazines, and have found them constructed very well with complete reliability. We’re glad to see a metal magazine manufacturer finally advance the technology of metal magazine construction. The advanced features of the DURAMAG are designed to improve the overall functionality of a metal AR-15 magazine, and should be welcome improvements to metal magazine users. The AR-15 has made a very strong statement as “America’s Rifle.” With over 20 million and growing in the hands of American shooters, there is a strong argument for continued improvements to AR-15 accessories. 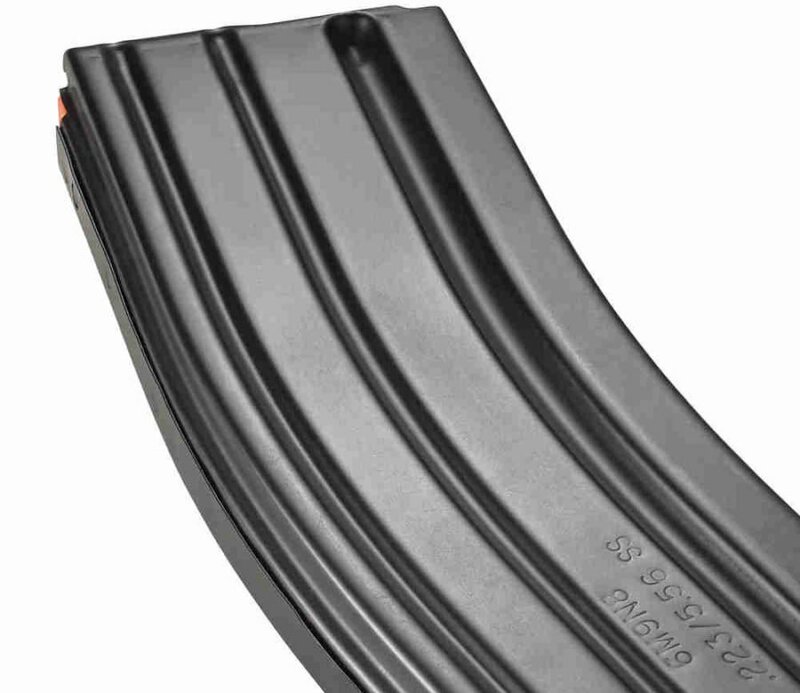 Polymer magazines have flooded the market, are highly popular, and many have proven to be remarkably reliable. 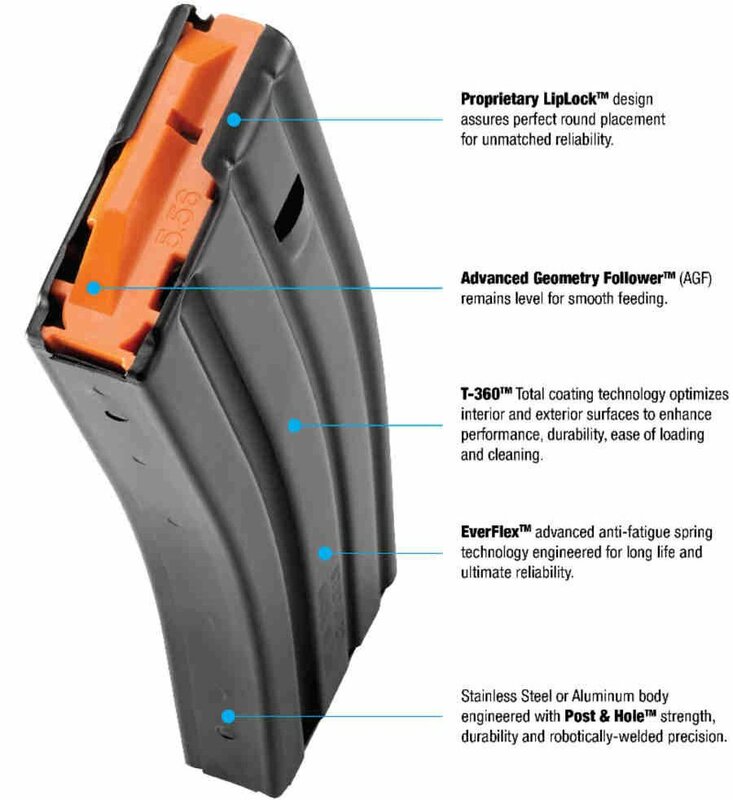 We’re glad to see C-Products Defense acknowledge those committed to metal magazines, with the introduction of the improved DURAMAG.